It's a new year filled with changes and so many possibilities! Have you made a resolution to take more time to create? Then you've come to the right place. We are here to challenge and inspire you! As the new year dawns, we've made some changes, too. We'd like to introduce the My Favorite Things Creative Team who will be leading the charge with their creative interpretations of our sketch and color challenges. 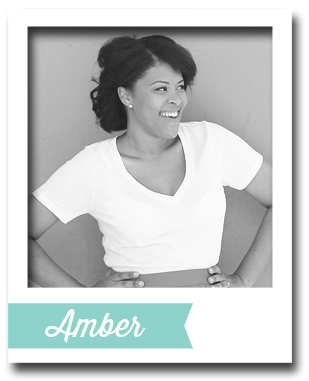 We are excited to share lots of fun ideas from these top notch designers! Below you'll find Sketch 262. Create cards, scrapbook layouts, home decor, treat containers, mixed media, etc. using this week's sketch and be sure to link your project below for a chance at the weekly My Favorite Things Gift Voucher worth up to $20. In 2016 we have a dizzying array of guest designers lined up for the MFT Challenge & Inspiration blog! We're starting it off with the ever-so-talented Yana Smakula. 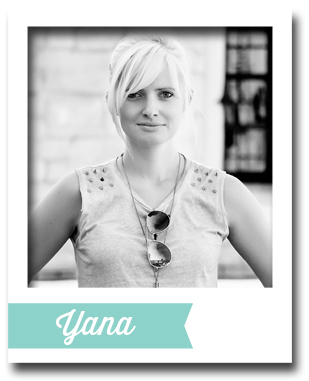 Yana is a 20-something originally from Ukraine, but she is currently living in Phoenix with her husband. The two of them love to travel, so Yana enjoys scrapbooking her travels that have taken them to Asia, Africa, Europe, and The United States. When the travel pictures have been scrapped, Yana turns to her other passion — cardmaking. And boy, does she make some pretty stuff! 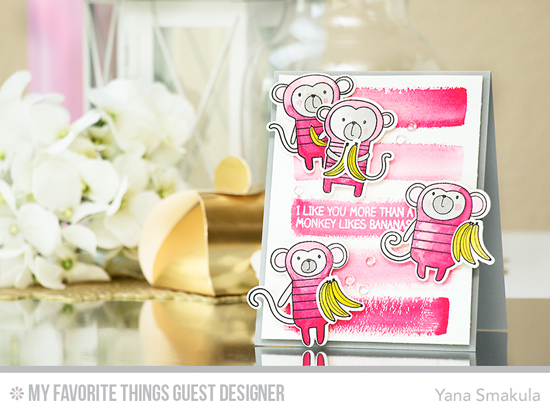 Yana uses the stripes of the sketch as a background for a whimsical design featuring the brand new Cheeky Monkey stamp set and Die-namics. I'd have never thought to make them pink! The My Favorite Things Creative Team has been busy getting creative! Let's see what they have up their sleeves for Sketch 262! Anna Kossakovskaya softens the sharp edges in the sketch with the Snow Drifts Cover-Up Die-namics, and instead of stars, she places pretty flowers on her card. Her soft color combination gives me hope for spring! Barbara Anders is feeling the love with her design that turns the sketch on its side. 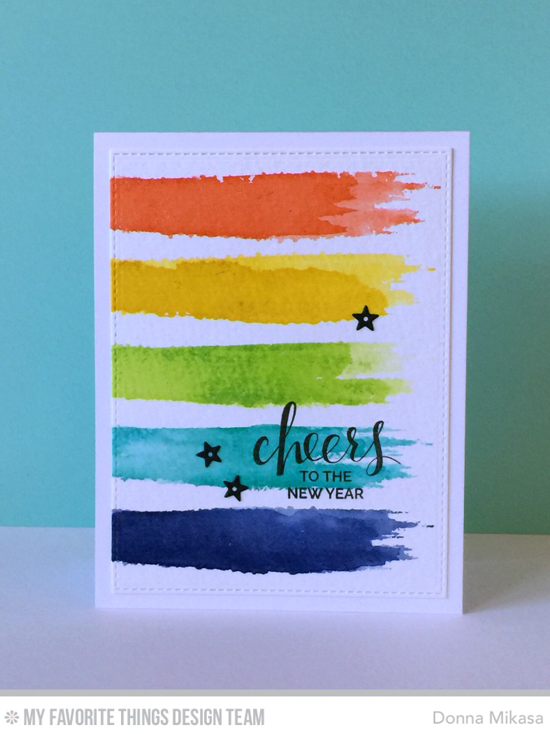 She adds lots of delicious layers beneath the stripes with the Jumbo Dot Cover-Up Die-namics and adds texture to them with soft watercolors and stamping. 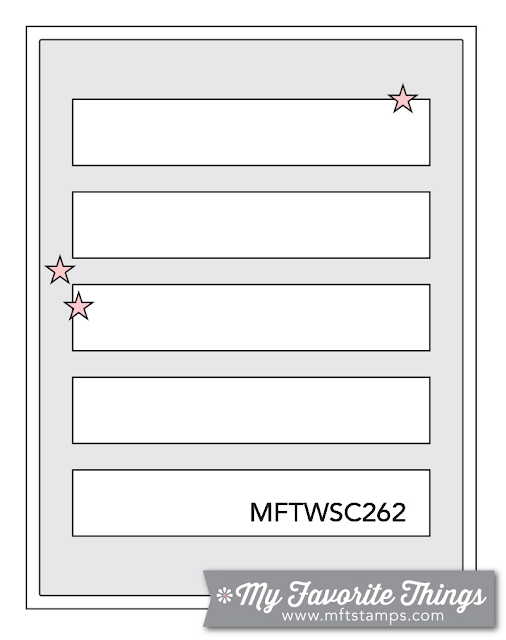 A few perfectly placed enamel dots mimic the stars in the sketch. Donna Mikasa adds bolds stripes of color for an artsy and less rigid version of the sketch. Her sentiment from the Hand Lettered Holiday stamp set is perfectly placed following the rule of thirds design principle. I love how she scootched in the stars to frame the sentiment. 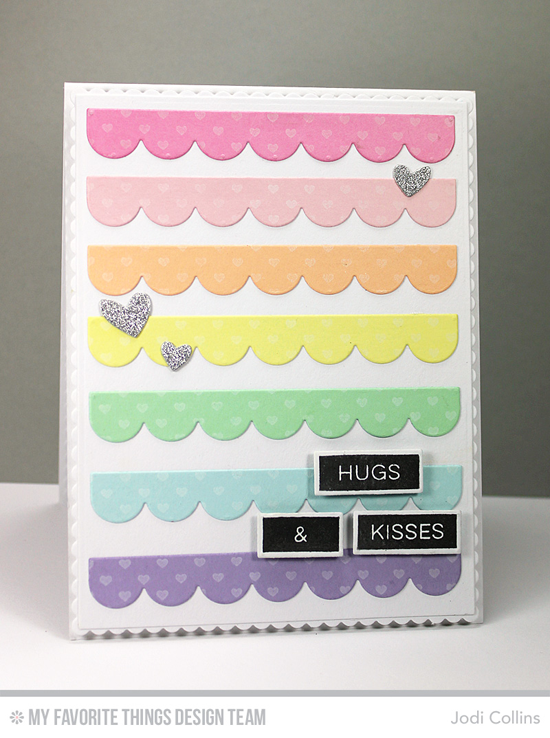 Jodi Collins goes for super cutesy with a pastel rainbow of scallops created with the Blueprints 8 Die-namics and the new Mini Hearts Background stamp. Switch out the stars for hearts and this card is every junior high girl's dream! Like Anna, Karin Åkesdotter pulls out the Snow Drifts Cover-Up Die-namics and with her color choices of cool hues, she concocts this beauty. 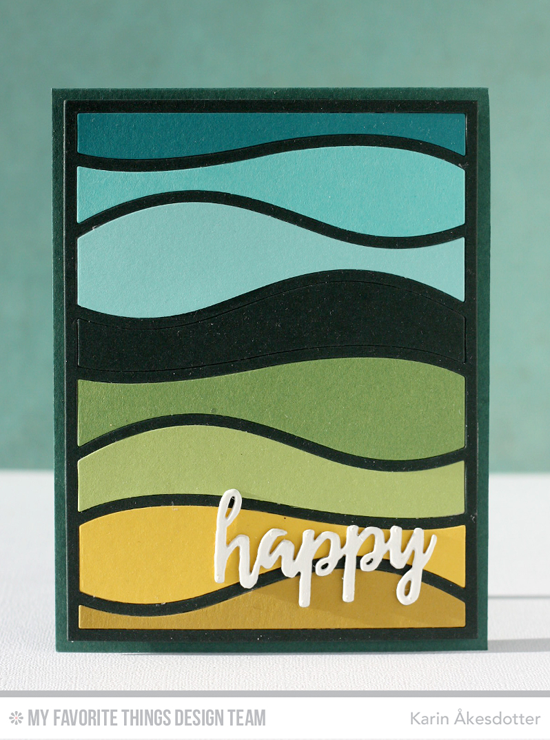 The white sentiment from the Brushstroke Birthday Greetings Die-namics pops off her design. 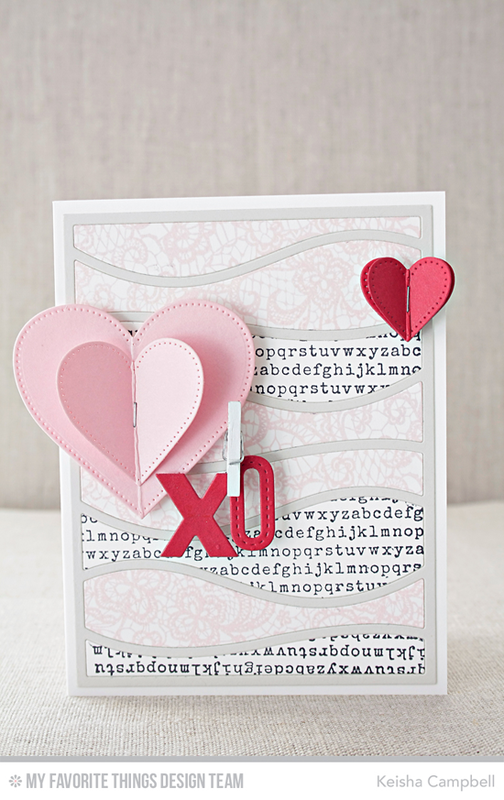 It looks like Keisha Campbell is gearing up for a fantastic Valentine's Day with this frothy and feminine card. Her use of the Lace and Typewriter Text background stamps adds a pretty detail to the Snow Drifts Cover-Up Die-namics background, and the brand NEW Stitched Heart STAX Die-namics become the focus of her design. Congratulations, Leigh Penner! You are the randomly selected winner of last week’s sketch challenge. You can view all the entries for last week’s challenge HERE. You have until Tuesday, January 12th, at noon EST to add your link and be eligible for the prize of up to $20 in MFT Cash to be spent in the MFT boutique. Winners are chosen at random, so everyone has a chance! The weekly prize is a $15 Gift Voucher to My Favorite Things, but if you use MFT stamps and/or dies in your project, you’ll receive an extra $5. What a fun line up of cards!! Anna, your card is just gorgeous!! Vera, aww thank you so much!! Love Yana's work. Looking forward to more. Thanks for the fun challenge! Great inspiration here! Thanks, for the fun sketch & all the lovely inspiration!